This December we managed to squeeze in a beautiful winter wedding at Pennyhill Park, just a few days before Christmas. The look was opulent and blousy, in winter whites and greens, with touches of elegant deep red and frosty thistles, and accent black feathers. 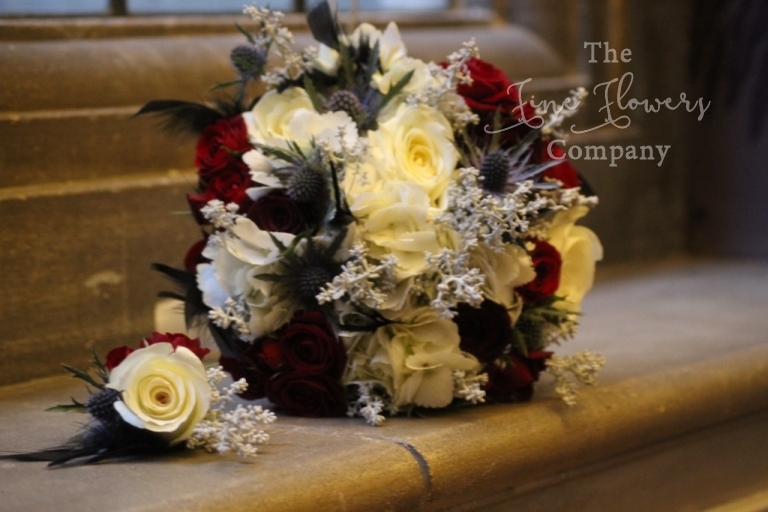 We used a mixture of ivory Avalanche roses, Columbian hydrangeas, deep red Grand Prix roses and spray roses, green Ammi and frosted thistles throughout. 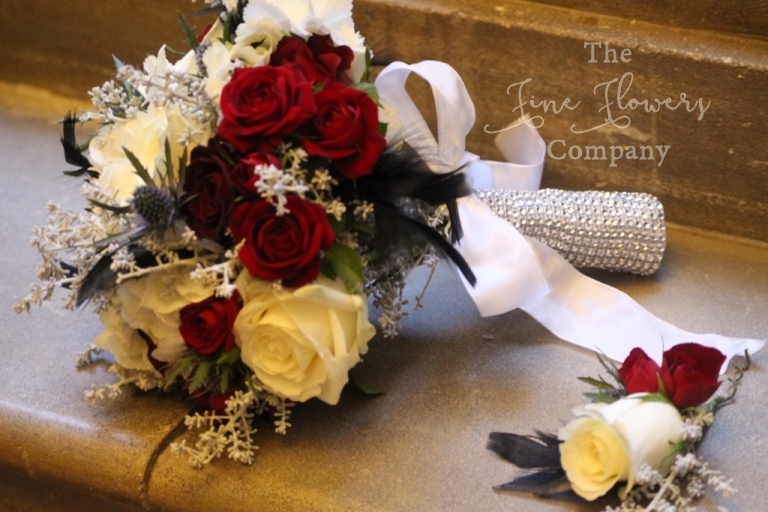 The bridal bouquet was finished with a glam sparkly diamante ribbon and given a touch of art deco influence with accent black feathers here and there. For the entrance to the Windsor Suite, we created an elegant tall vase centrepieces near the seating plan, welcoming guests for the wedding reception. 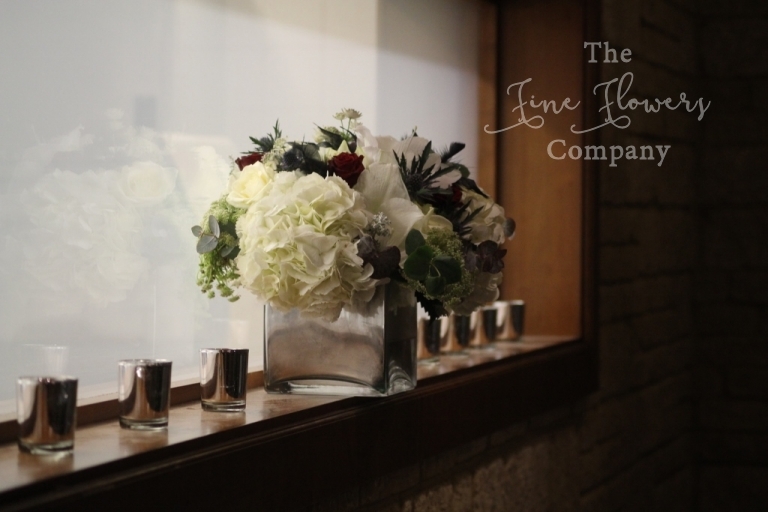 The guest tables for the wedding breakfast were dressed with alternating tall and low centrepices using tall art deco silver vases and low vintage silver cube vases. 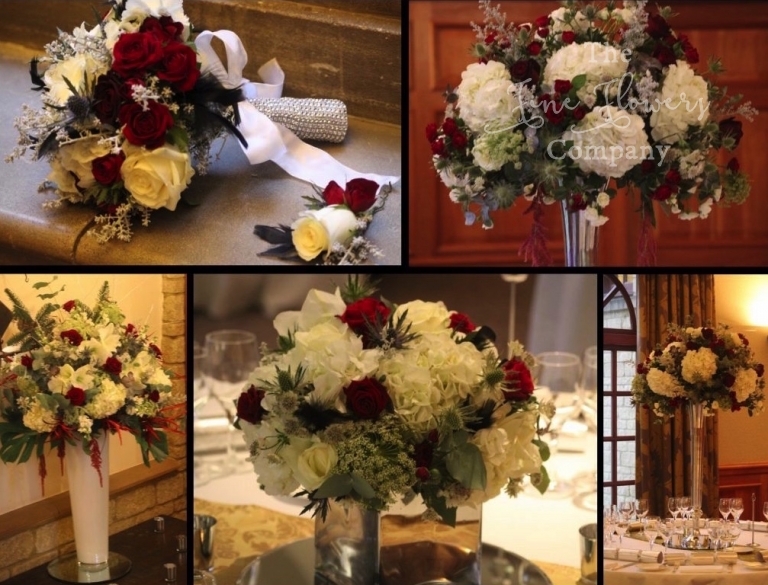 Both were filled with overspilling flower centrepieces in frosty winter whites, red and green. If you are planning your wedding at Pennyhill Park, please visit our Pennyhill Park venue page to see more featured Pennyhill Park weddings for more inspiration and ideas.